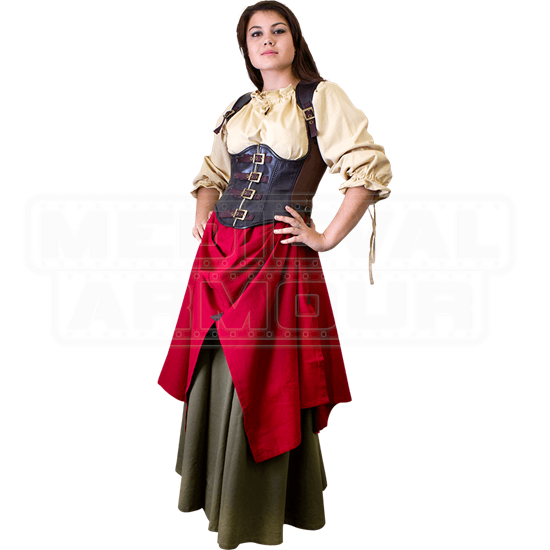 Add this excellent leather corset to your medieval wench or fantasy rogue ensemble for a stunning look. The Leather Rogue Corset is crafted from full-grain leather and heavy canvas to offer protection as well as style. This underbust corset has buckled shoulder straps and a full back covering that laces up for a snug fit. More brass buckles cross the front of the piece to provide a striking appearance. The vegetable-tanned leather and canvas corset comes in two different color options. 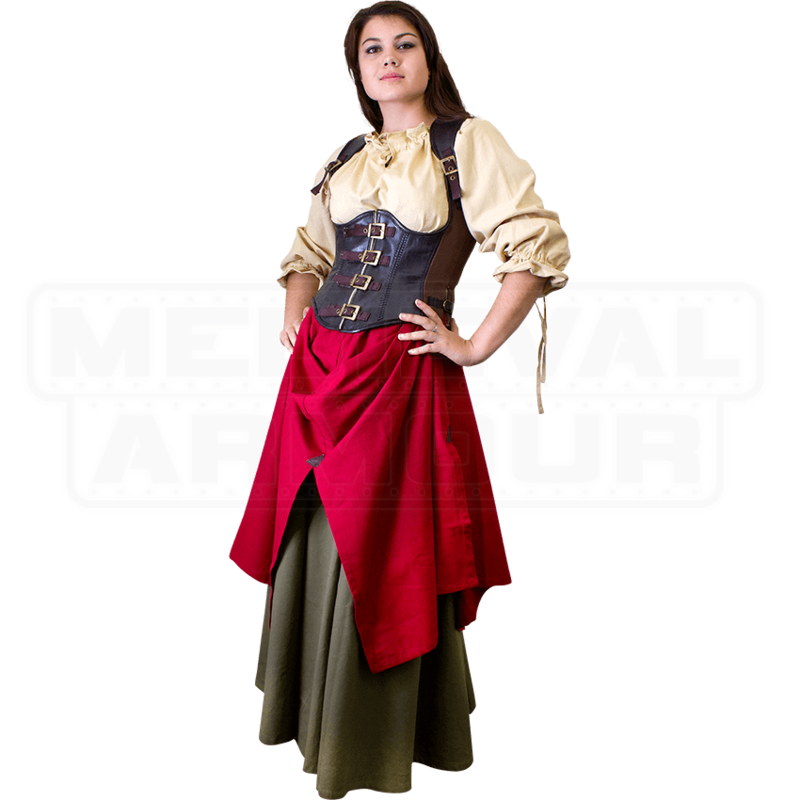 Also, this Rogue armour corset goes perfectly with the Rogue Female Armour (MCI-3082) for those times when you want additional protection! Natural leather products are very durable, but require regular maintenance to stay flexible. Remove dirt with a hard brush, then apply and rub on leather care product. Make sure to keep dry when stored, and let wet leather dry before treating.